Sugar. It’s one of my all time favorite things. I’d like to shake the hand of the person responsible for Sour Patch Kids. As the holiday season gets under way sugar can be found in oh so many things. Prior to Thanksgiving my inbox was chocked full of all sorts of pie recipes but one really caught my eye…maybe it was the use of Nilla wafers, or maybe it was the fact that it was the writer’s Dad’s recipe (my own father had a major sweet tooth – his motto – life is uncertain, eat dessert first.) 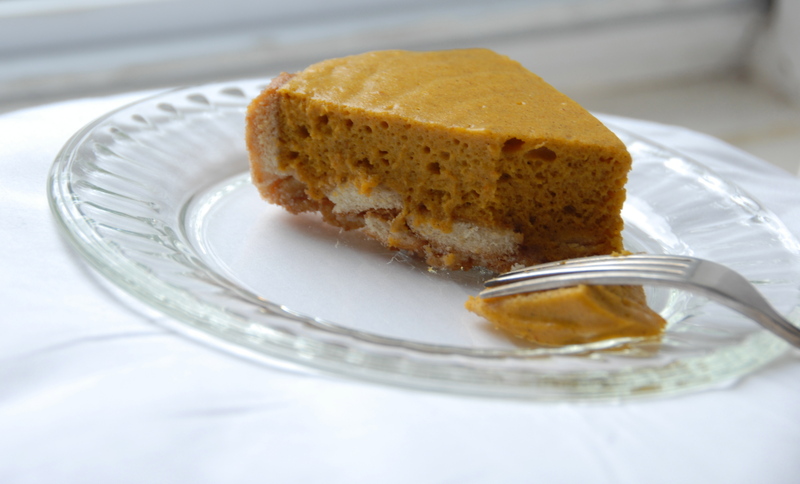 Whatever it was I knew I had to try this pumpkin chiffon pie. And…it goes without saying but if there was no sugar there would be no bakeries – and without bakeries I would not have been able to be hired by a fabulous one in Red Hook, Brooklyn. That’s right folks – I’m employed! Another reason to be thankful! Preheat your oven to 400 degrees. 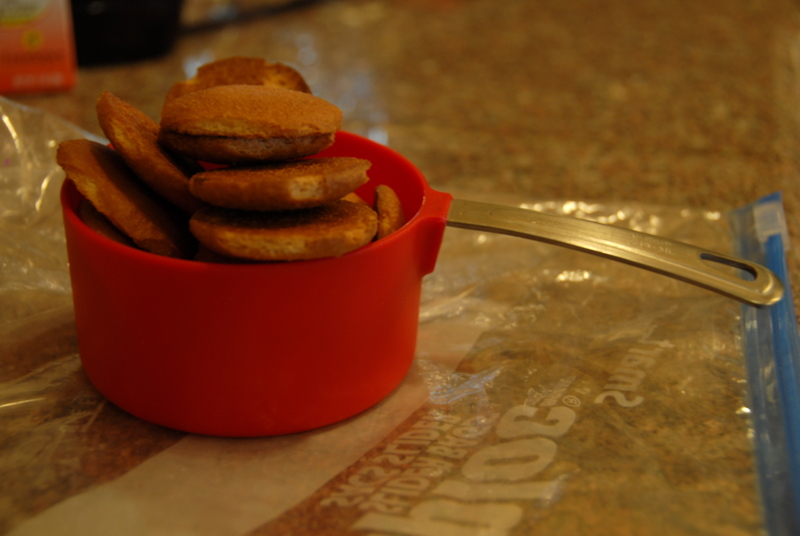 Place the Nilla wafers in a plastic bag and smash away. Join the Nilla pieces, melted butter, sugar and salt in a large bowl. Press the mixture into two 9″ pie pans. Bake for 8-10 min. Cool on a wire rack. Now for the filling. First combine the gelatin and Cointreau in a small bowl. Let stand for 5 minutes and then place over a pot of simmering water until it is dissolved. Set aside. In a large pot whisk together the pumpkin puree, heavy cream, 1/2 cup sugar, yolks, spices, and salt. Cook on moderately low heat for 10 minutes stirring constantly with a wooden spoon. Transfer to a bowl. Add gelatin mixture and set aside to cool. 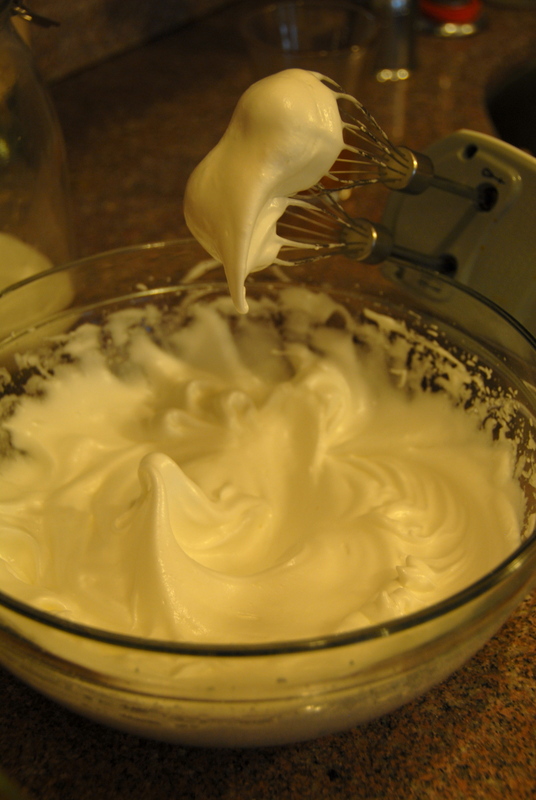 Carefully incorporate the meringue into the cooled pumpkin mixture. 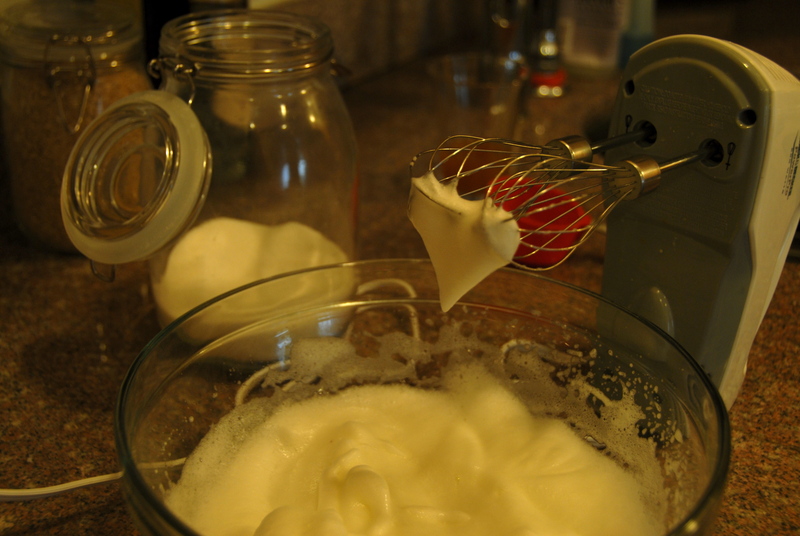 Gently fold as to not deflate the egg whites. 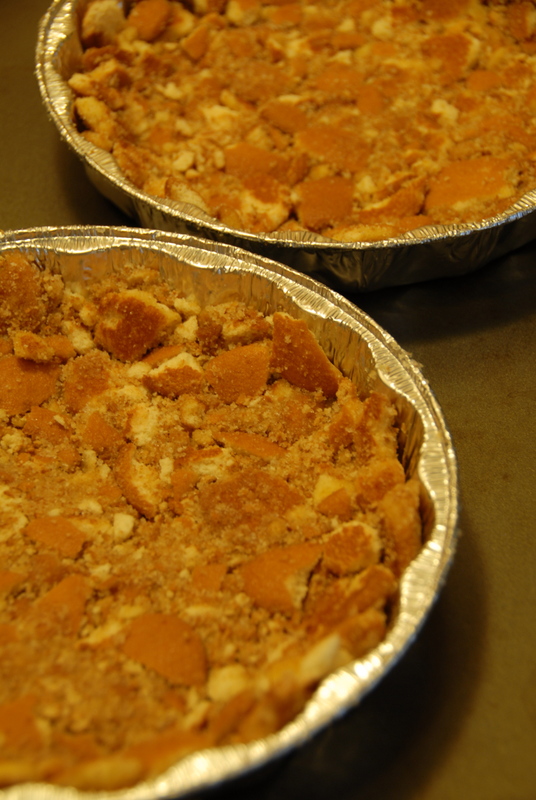 Fill the pie crusts and chill for at least 6 hours before enjoying. This is a deliciously light and airy take on the traditional pumpkin pie – I’m certainly thankful it found its way into my inbox. This entry was posted in Festive Cheer, Pumpkins and tagged meringue, Nilla wafers, pie, pumpkin, sugar, Thansgiving, the kitchn. Bookmark the permalink.